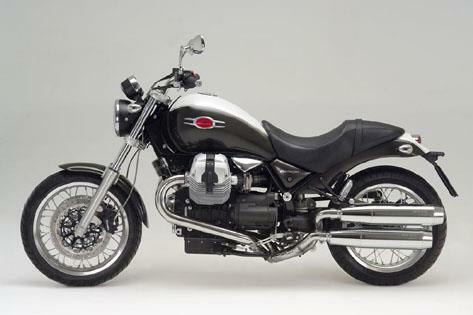 Moto Guzzi has added a new two-tone paint scheme to the colour options available for its Bellagio sports cruiser. The motorcycle can now be bought in grey and white in addition to the existing coal black colour. The two-tone bike costs £7,199 on the road, and the black version £6,999.